Carraro is preparing to demonstrate the full extent of its capabilities at Bauma this year. Typically known as a driveline systems provider for light-medium construction equipment machines, the company is planning to present a number of examples of technologies for much wider applications at the world’s largest construction trade fair. From hydrostatic to torque converter transmissions, all of its systems are integrated with Carraro’s in-house proprietary hardware, TEQ2 ECU, for complete electronic control and compliant with relevant EU regulations. At Bauma 2019, in Munich, Germany, the firm will also be displaying its innovations dedicated to electric and hybrid vehicles. The construction equipment sector is currently evolving at such a fast pace that it is not possible to properly stay up-to-date with global macro trends. The market now requires vehicles and systems to provide significant improvements in both efficiency and productivity, thus reducing fuel consumption and emissions into the atmosphere. Nowadays, each player in this sector needs to offer solutions capable of achieving enhanced performances and, at the same time, be compliant with the most stringent norms. Such results can be only achieved by smartly combining all of the most recent technologies. 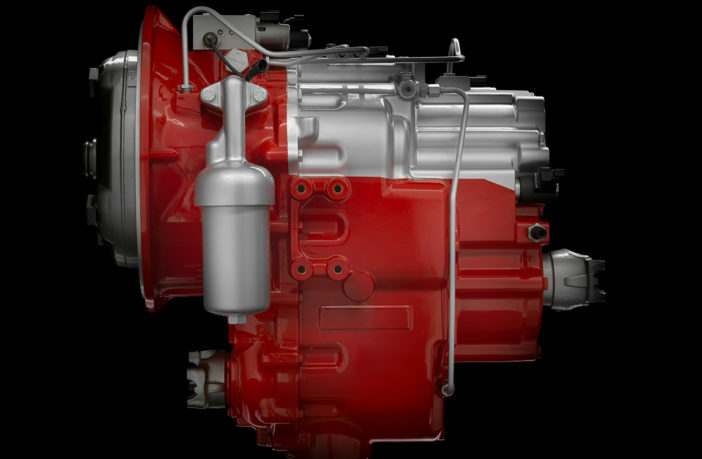 A Carraro spokesman said, “Carraro offers a quite unique product portfolio, which ranges from a wide spectrum of drivelines for several typologies of vehicles equipped with the traditional endothermic engines, to complete powertrains for electric and hybrid solutions.